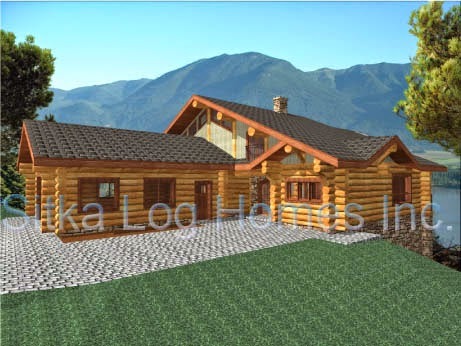 Our Sun Peak sample log home plan of 1825 square feet or 169.5 square meters includes 3 bedrooms and two baths with an open floor plan on the main floor. 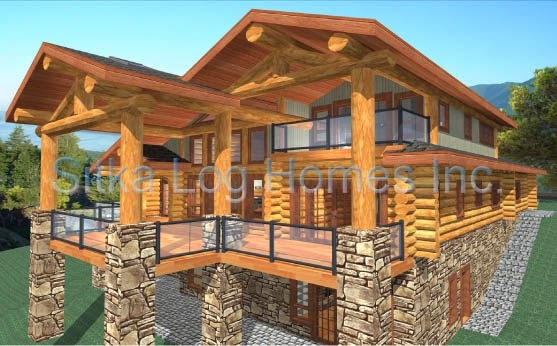 This custom log home's private master bedroom with ensuite is located in the loft and has it's own walk out deck. The kitchen island divides the dining area and the open great room features a high peaked ceiling. A covered deck opens out from the great room and the dining room. 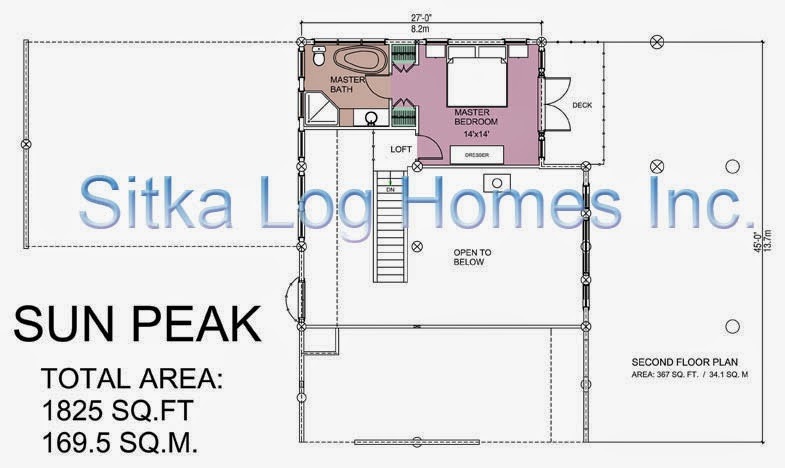 This plan could be built on a full basement or a slab foundation. 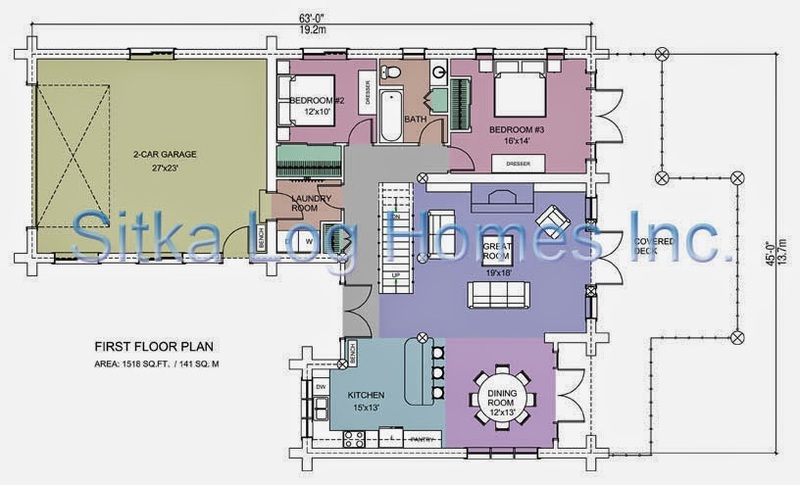 As with all of our sample plans, this floor plan can be customized to suit your building needs. 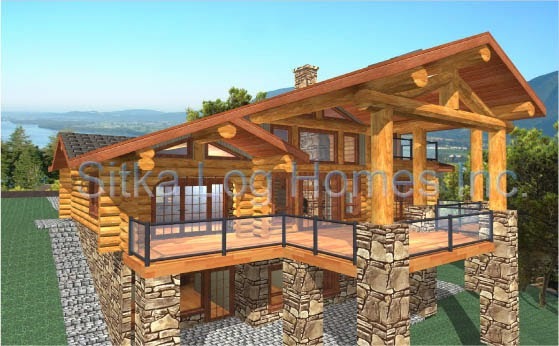 For more information and for pricing inquiries please email us at info@sitkaloghomes.com. 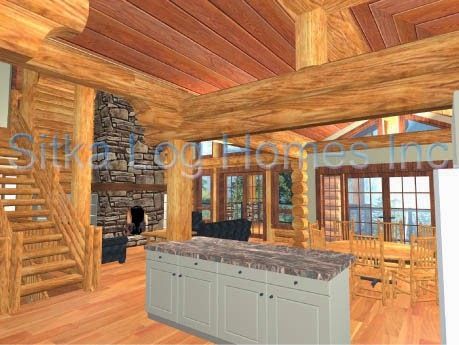 Visit our web site at www.sitkaloghomes.com for more examples of our log and timber frame work, log home photos, information and sample log home and timber frame floor plans. Great post!! 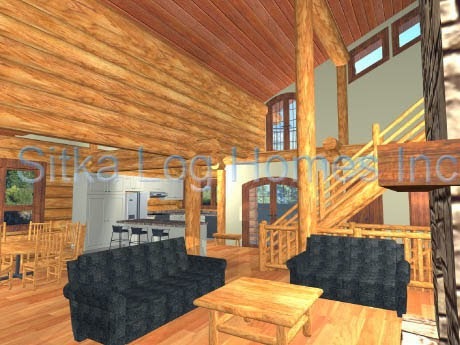 The sample of log home plan is perfect. Thanks a lot for sharing.